The Pull-Up. Along with the Press, this humble movement is probably the most important thing you can do for your upper body strength. Pull-Ups will strengthen your lats and arms, improve your posture and tighten your core. And once you have CrossFit's kipping variation, many of our benchmark workouts (Fran, Jackie, etc) will suddenly 'take meaning' to you in a whole new way. Our standard class programming includes a lot of Pull-Ups. But for many of you, this (on average) twice a week dosage may not be enough to get REALLY good at Pull-Ups. That's where our November Pull-Up challenge comes in! During the month of November, you'll strive to complete 12 Pull-Up workouts, typically done before or after class. These additional workouts will be fifteen minutes or less and shouldn't interfere with your regular workout schedule. The cost is $25 and you'll receive a t-shirt at the end of the challenge. Pull-Up workouts will be emailed to you each week. If you're interested in participating, please complete this Google form. Indicate whether you're a) trying to get your first strict Pull-Up, b) trying to get your first Kip or c) just trying to get more Pull-Ups. 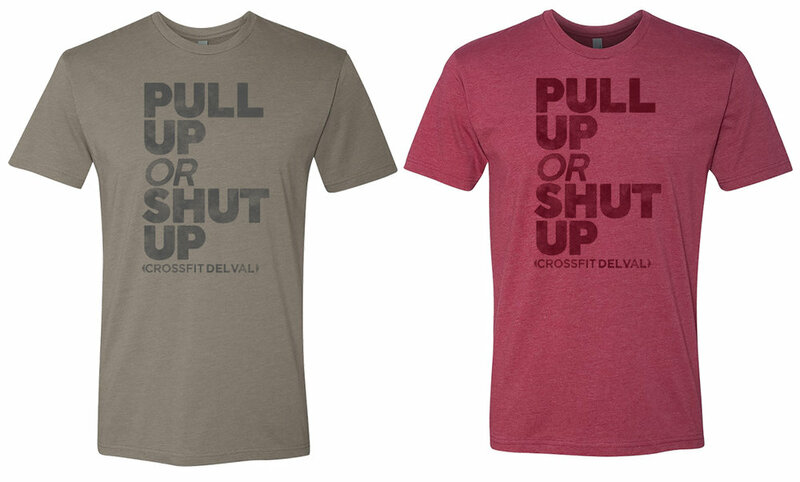 Oh, by the way: we want you to declare your 'team' for the Pull-Up challenge. DelVal Coaches Jacki, Chris and Rob will each field a squad. May the best team win!